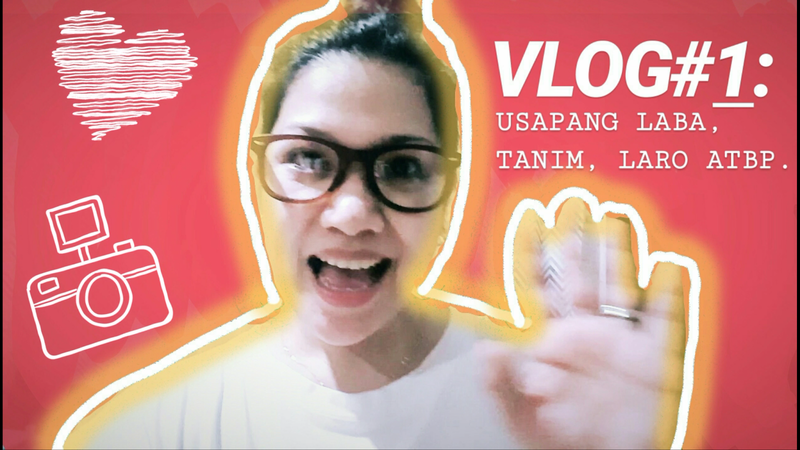 Launching My YouTube Channel with VLOG#1: Usapang Labahan, Taniman, Jenga, Atbp. SO, here's another chapter in my bloggy life as I keep on growing more in love with the digital world of sharing, informing, and inspiring my readers and followers. Announcing, the launch of my first-ever VLOG entitled: MOMMY PRACTICALITY VLOG#1: USAPANG LABAHAN, TANIMAN, JENGA, ATBP. My YouTube channel has been existing since 2011 for the mere purpose of uploading personal videos of my children. I have two channels actually, nalito na rin ako which one I am using. The other one is the more updated channel, but I couldn't personalize it anymore or make it into a "branded" channel because of YouTube's new policy. So I decided to use the older one, which has its own customized channel (bearing nga lang my maiden name pa). What type of video content shall you expect from my channel? My VLOGs will be a genuine peep into our family life as we go through trivial everyday stuff to adventures such as hotel staycations, travels as a family, products and services review/feature, unboxing of stuff (toys, make-up, gadgets, other baby/mommy products), new food/restaurant discoveries, practical shopping finds, events, and many more - almost anything under the sun. All while keeping it real and truest to the true core of my blog pa rin which of course will focus on practicality. Without further adieu, here's my VLOG #1: USAPANG LABAHAN, TANIMAN, JENGA, ATBP. Hope you enjoy watching and do subscribe as well. Leave a comment para ma-encourage din ako to make more makabuluhang content for all of you!